No custom configuration required in JIRA for this type of authentication. 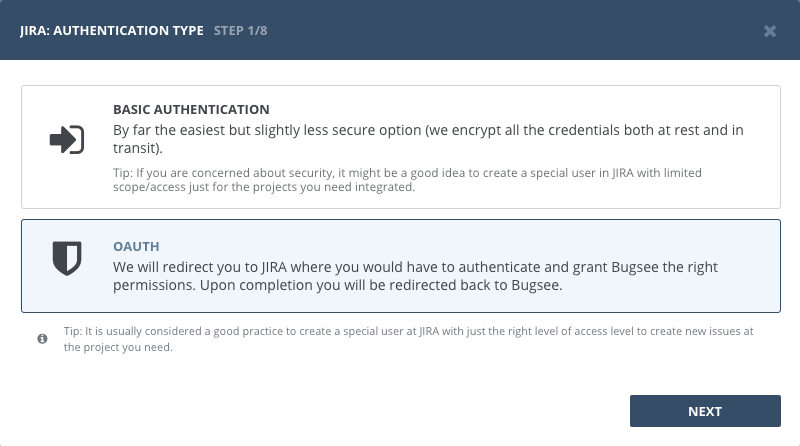 Before we can start configuring integration in Bugsee, your JIRA instance need to be tuned a bit. 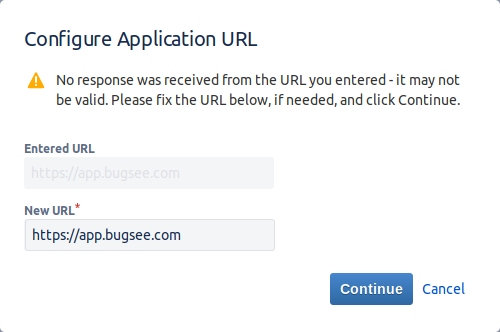 Fill application name field with the value that uniquely identifies Bugsee integration. Also don't forget to check "Create incoming link". When done click "Continue". 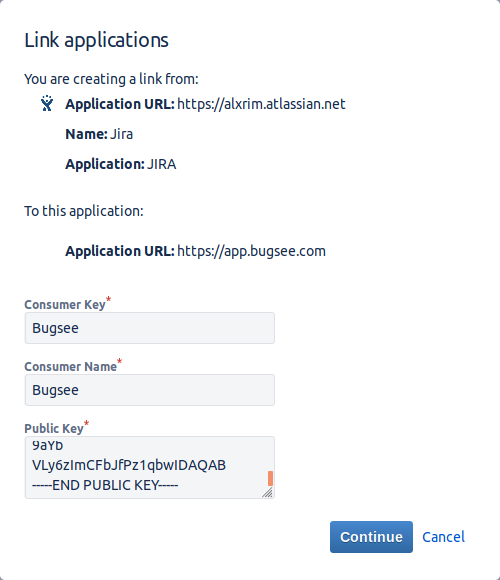 Now, when you've prepared your JIRA instance, lets configure integration in Bugsee. 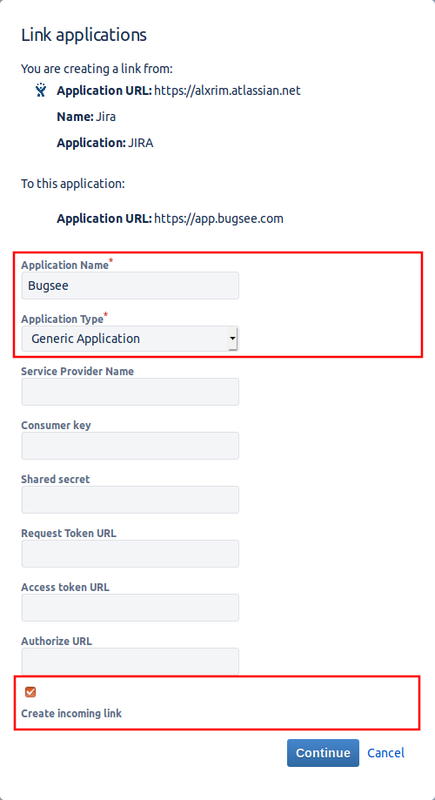 Start Bugsee integration wizard and select "OAuth" in the first step of integration wizard. Click Next. Skip instructional steps. 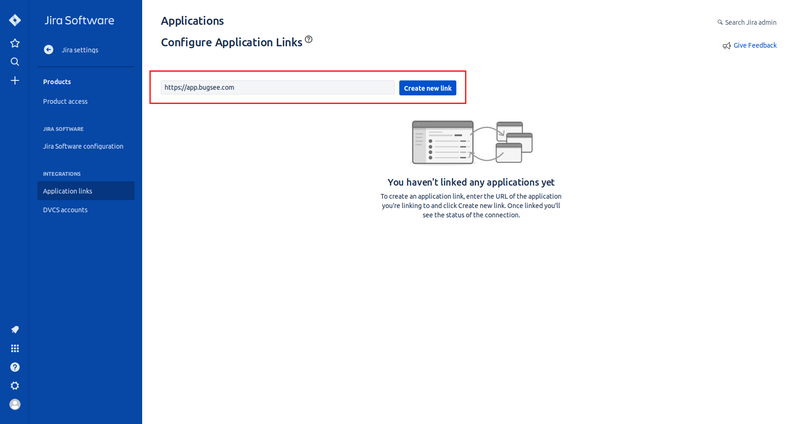 Provide valid URL to your JIRA (if you're using JIRA Cloud, then it will be https://<domain>.atlassian.net) and click "Next". You will be presented with dialog asking you to grant Bugsee permissions. 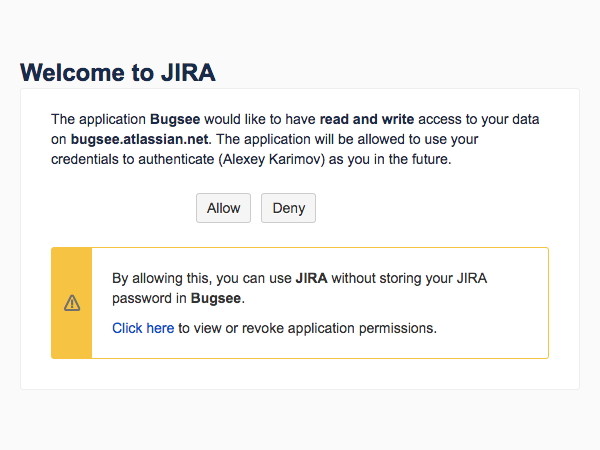 Click Allow to allow Bugsee access your JIRA. After completing this step, another screen will appear and will present you with a verification code. Copy the code, close the window. Paste the code you copied in previous step. Click "Next". 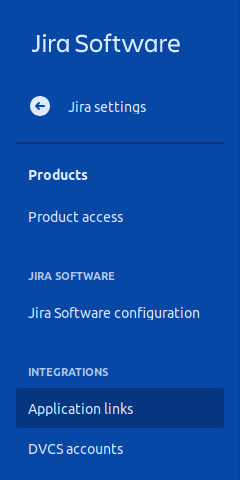 There are no any specific configuration steps for JIRA. Refer to configuration section for description about generic steps. JIRA is very customizable, fields can be made mandatory, new fields can be added, issue types, priorities and other default types can be changed. Bugsee can accommodate all these customizations with the help of custom recipes. 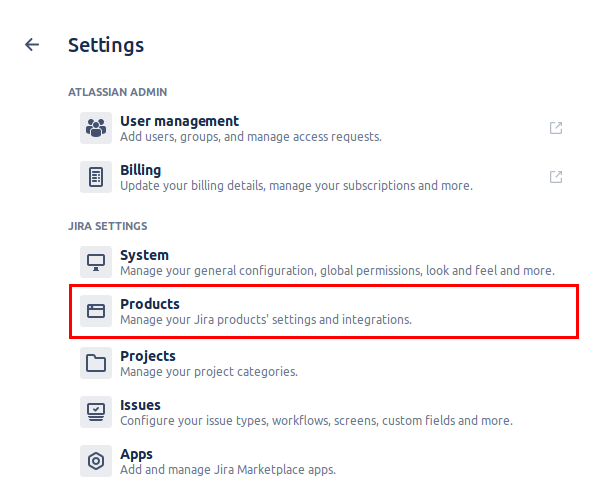 This section provides a few examples of using custom recipes specifically with JIRA. For basic introduction, refer to custom recipe documentation. // We use default JIRA versions field, which is an array of available version in JIRA. // being reported, otherwise integration will break.